Bebe Gul Gholamri, 40 years old, directs traffic around a construction site in the Karte Se neighborhood of Kabul, Afghanistan. 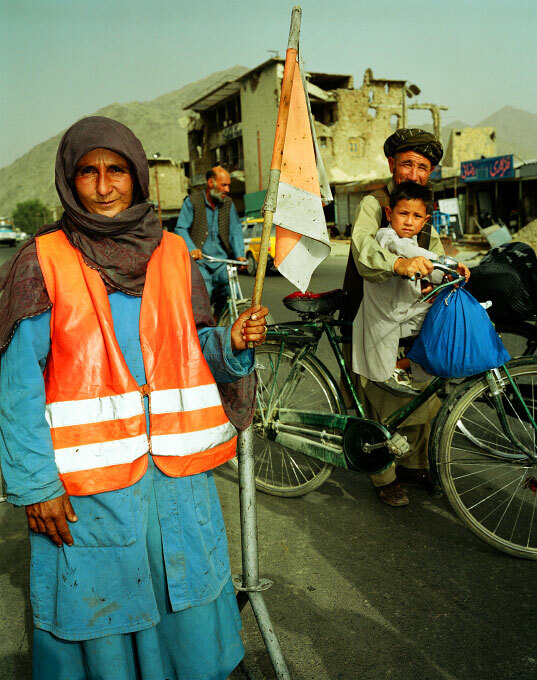 She is one of the four - woman road crew repairing the roads of the Afghan capital. All four women are widows.